THE National Building Society (NBS) has so far delivered 30 percent of its targeted mortgages since its launch. 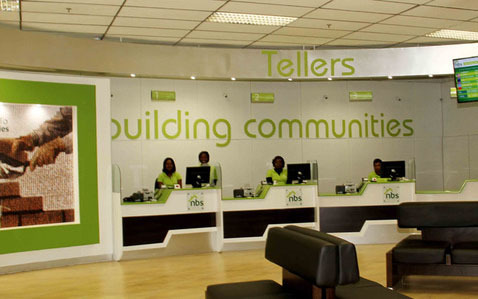 In an interview at the ongoing Institute of Bankers of Zimbabwe (IOBZ) Summer School 2017 in Nyanga, NBS head of marketing Andrew Tawodzera said the bank has so far built 3 000 houses across the country, sold through mortgages. “The uptake for mortgages has been good and so far we have done in excess of 3 000 mortgages, slightly more than what the entire market delivered last year. All this is in about a year . . . so it has been a good journey for us. The good thing is we have projects across the country,” said Mr Tawodzera. Last Thursday and Friday, the bank officially launched Dzivarasekwa Extension and Stoneridge housing projects respectively. The Dzivarasekwa project is expected to deliver in excess of 600 units ranging from three rooms to six rooms. Both the Dzivarasekwa and Stoneridge projects are expected to be completed by year end. “In Stoneridge we have about 700 units we are working on and have already completed about 160 units. We have clients ranging from civil servants schemes, companies like the National Handling Services, nurses’ organisations and other individuals who have approached us,” said Mr Tawodzera adding the bank’s projects are skewed towards the low income earners due to high demand from such a market. This is also in line with Government’s thrust of providing decent and affordable housing for Zimbabweans and narrow that national housing backlog estimated to be around 1,2 million units. Speaking of the Stoneridge project, NBS acting managing director Mr Lameck Ndanga said the bank was committed to partner Government and other stakeholders in the delivery of affordable housing finance to Zimbabwe, especially the targeted low income earners, a market that has largely been unserviced due to financial constraints. Public Service, Labour and Social Welfare Minister Priscah Mupfumira, who officiated the Stoneridge housing development said Government together with NBS parent company, National Social Security Authority would continue to create measures to cushion civil servants and the small to medium enterprises sector.